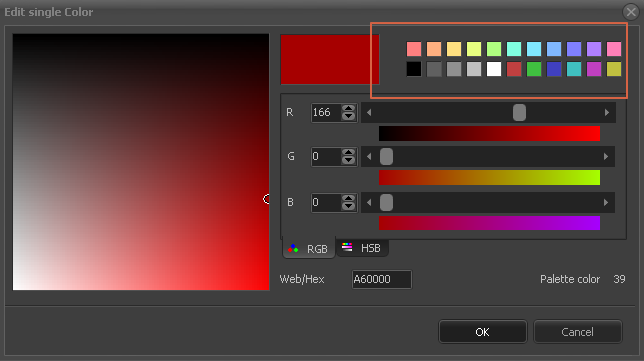 Can you explain in more detail what you want to do with that color? Some background information could help to answer the question. Yes, if I want to use a color that is not on the palette, and I don’t want to change the palette, there is like a temporal color palette unindexed? Suggestion: create a second project that is used for playing with colors. yea that is what i mean, there should be a actual color like photoshop that is no index and you can change it to whaterever without modifing the palette/index colors, but ty!